Cancers are super sensitive with a hard outer shell. They have a strong urge to hermit and be homebodes, spending time with family or being super domestic (think: baking pies, tending to a garden, reading a book that moves you to tears). Cancer rules the 4th house, which is all about feeling your roots and your home. Cancer, the crab, is a very feeling sign. This sensitive, comforting, nurturing water sign is ruled by the Moon, which is the planet of moods and emotions. Cancer is super in tune and empathetic. 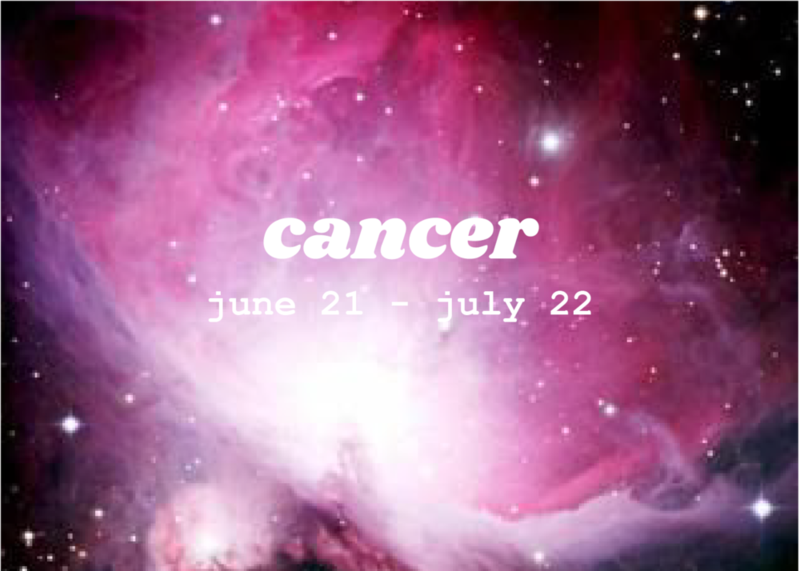 The emotional nature of Cancer can also make people who have this as their sun sign very temperatmental and moody. Cancers are known for being supportive and nurturing partners. They’re helpful, responsible, and super compassionate. They’re often leaders, but in a soft type of way; they like to be in charge, but don’t like to have to corral or tell people what to do. They excel at caring for friends, family, and everyone else who spends time around them.